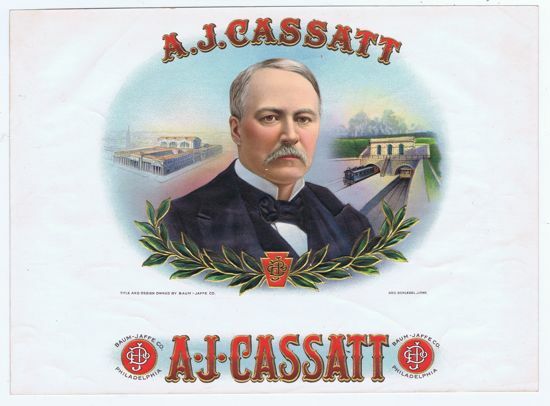 Alexander Johnston Cassatt, born on December 8, 1839 was the 7th president of the Pennsylvania Railroad serving from 6/9/1899 to 12/28/1906. He is most noted for the was the planning and construction of tunnels under the Hudson River to finally bring PRR's line into New York City. His purchase of a controlling interest in the Long Island Rail Road and the construction of tunnels under the East River created a PRR commuter network on Long Island. Unfortunately, Cassatt died on 12/28/1906 before his grand Pennsylvania Station in New York City was completed.